The privacy of our visitors to www.jobspapers.com is very important to us. At www.jobspapers.com , we recognize that privacy of your personal information is important. Here is information on what types of personal information we receive and collect when you use and visit www.jobspapers.com and how we safeguard your information. We never sell your personal information to third parties. We also may use DART cookies for ad serving through Googles Double-Click, which places a cookie on your computer when you are browsing the web and visit a site using Double-Click advertising (including some Google Ad Sense advertisements). This cookie is used to serve ads specific to you and your interests ( interest based targeting ). 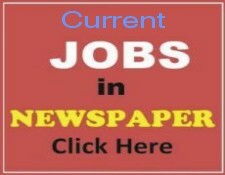 This website is providing PPSC & FPSC Jobs alert and its Past Papers. We are also providing complete PMA long course, ISSB test Prepration notes. We are also providing Old papers, Old Solved Papers, general knowledge questions and other helping material related to PPSC Test and FPSC. Soon CSS Papers, GAT,MCAT,ECAT and Quiz related to GAT, GRE General, shall also be available here.